Thank you for visiting and supporting my blog over the past year! I'm taking a blog break this week to spend time with family and enjoy the season, and I hope you are doing that too. Wishing you a joyful and memorable holiday season. See you back here in 2013. Under the Never Sky by Veronica Rossi - I loved the story and the way the author used the sense of smell (more on this here). I can hardly wait for the sequel! 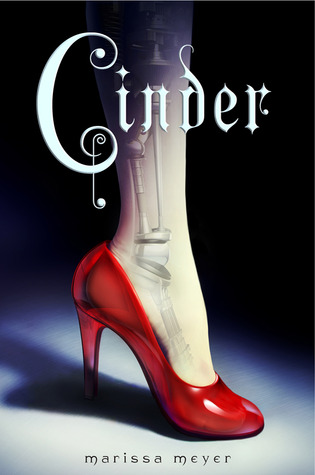 Cinder by Marissa Meyer - Such a cool concept to mix fairytales and sci-fi. I really enjoyed this one, even though some parts were a bit predictable. 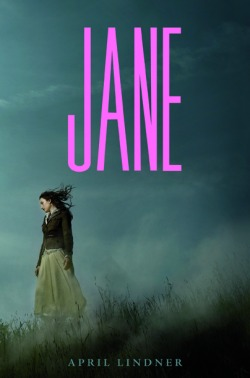 Jane by April Lindner - I love Jane Eyre by Charlotte Bronte and this modern take was really enjoyable. I'm looking forward to what's in store for 2013! What was your favourite YA read this year? Continuing with the theme of favourites this week, I'm highlighting some great writing podcasts that have given me a lot to think about while cleaning my house, walking my dog or being a Mom taxi. Writing Excuses - Since I discovered this podcast earlier this year, I've been hooked. This team of writers discusses different aspects of writing in a short podcast with minimal self-promotion or advertising. This is my top pick for writing podcasts. The Creative Penn - Joanna Penn's podcasts come from her own interests and desire to learn more about the writing and publishing process. It's been interesting to follow her progress with her own books and to be reminded that writers need to take charge of their own careers. Wordplay: Helping Writers Become Authors - K.M. Weiland gives lots of great writing tips and resources, which often give me an idea I can use in my own writing. I don’t have a Marvelous Middle Grade Monday review for you today. Instead, I thought I’d highlight a few favourite middle grade novels from my 100 book reading challenge this year. It was hard to narrow it down, because I've read so many great middle grade books! The False Prince by Jennifer Nielsen - I loved the main character's voice and the plot twists. This was a fun read. 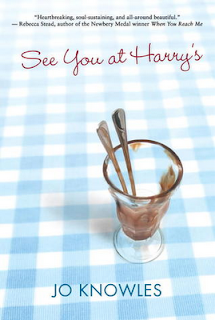 See You at Harry's by Jo Knowles - An emotional story that was hard to put down. I recently featured this one here. 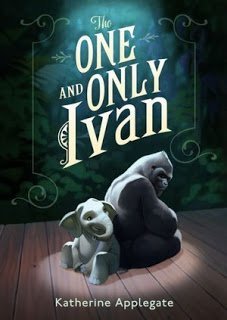 The One and Only Ivan by Katherine Applegate - I loved the poetic language and writing style that fit so well with the gorilla narrator. You can read my thoughts here. What was your favourite middle grade read this year? The idea of Pajama Day makes me think of that image some people have of writers, sitting around in their pajamas all day drinking coffee (or something stronger), while they scribble out their latest bestselling novel, which will, of course, be immediately snapped up by a publisher. It's a nice dream anyway. The reality of my writing life is that by the time I put on my pajamas, my brain is too numb to do anything so I sit like a blob in front of the TV, berating myself for only getting less than 500 words written in small bit of time I had between driving the kids to school and preparing to go to work. But I think that over the holidays, I'll have a true Pajama Day, where all I do is wear pajamas, drink hot chocolate and curl up with a good book and my writing notebook by my side. Novel plots easily become complicated. First there are all the cool elements that can make the story unique - special objects, amazing talents, surprise connections between characters, an unusual skill or friendship. Then there are the many obstacles needed to create a compelling story: all the threats, break ups with friends, red herrings, things that go missing, thieves or liars -- the list is endless. The trouble is, the more stuff that goes into the novel plot, the more difficult it can be to revise. I've learned this the hard way. So my plotting tip for today is to keep the basic plot as simple as possible. It's possible to create a simple storyline but still make the story unique. Keep your character's goal in mind at all times. For my current project, I wrote my main character's wants on an index card and stuck it up by my computer so it's always there to help focus my ideas. Check to see if obstacles or cool elements fit with the story by asking why. Sometimes I hang onto an obstacle or cool element because I think it makes a story unique, but then struggle to "make it fit" when probably what I should be doing is saving it for another story. Think about the ending and how it fits with the beginning before plotting out the middle. Once you know where the story is going and what makes sense, then you can figure out how to get there. I find it helpful to work backwards and think about what needs to happen in earlier chapters to set up the ending. What's your best tip for keeping your plot manageable? Starting middle school brings all the usual challenges - until the unthinkable happens, and Fern and her family must find a way to heal. Twelve-year-old Fern feels invisible. Her dad is always busy planning how to increase traffic to the family business. Her Mom is constantly going off to meditate. Her sister Sarah, who's taking a "gap year" after high school, is too busy finding ways not to work; and her brother Holden is too focused on his new "friend" to pay attention to her. And then there's Charlie: three years old, a "surprise" baby, and the center of everyone's world. If it wasn't for Ran, Fern's best and oldest friend, there would be nowhere to turn. Ran is always calm, always positive. His mantra "All will be well" is soothing in a way that nothing else seems to be. And when Ran says it, Fern can almost believe. But when their lives are unexpectedly turned upside down, Fern feels more alone than ever, and responsible for the event that wrenches the family apart. All will not be well. Or at least, all will never be the same. Not many books make me cry, but this one did. I got totally caught up in the story and characters and I had to read it all the way through to find out what happened. This is a moving, heart-breaking story that touches on bullying, fitting in with friends, and family conflicts as well as grief and loss. The cover blurbs from other authors are all true! It’s one of my favourite reads of the year. As a writer, I’d read this again to study how to write from a first-person point of view. In fact, though I borrowed it from the library, this is a book I’m going to buy for myself and read again. "From the moment you were born, I could tell you had a special soul. I knew you'd be a good friend. A hero." Jo Knowles lives in Vermont. Growing up, she always loved writing stories, but didn’t begin to enjoy reading until high school. For more, visit Jo Knowles’ website. 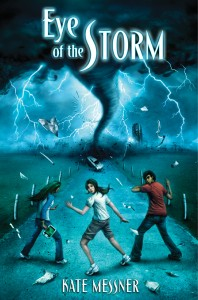 Marvelous Middle Grade Monday was started by Shannon Messenger, author of Keeper of the Lost Cities. Visit her blog for an up-to-date list of all the bloggers who are participating and posting about middle grade books today! I hate being stuck. Sometimes, I get to a point in my story where nothing is happening. The words I'm writing aren't advancing the story. The story itself seems like the worst thing I've ever written. And the plot has worked itself into a giant tangled mess before I've even gotten to the good parts. A lot of the writing advice I read says that when this happens, the best thing is to put the story aside for a while and do something else. For me, that can lead to even more time away from the story. You know the saying: "Out of sight, out of mind." After all, there is Christmas baking to do. Instead of taking a break, I like to think of being stuck as a sign that I need to go back and do some more thinking. There's a reason the writing isn't flowing. It's probably because I took a wrong turn somewhere, and wrote something that sabotaged my story. What often works for me is to revisit my outline or short summary and rewrite it. First I read through it, finding places where I can ask "Why?" This reminds me of my character's goals and what she wants. Or gets me thinking about different ways to continue on the story path. The more writing I do, the more important it's becoming to make sure the story is all about what my character wants and how she's going to get it. 2) I wrote 10,000 words in my "mini-NaNo" where I was focusing on my new project (Novel # 5). I'm pleased with how much I accomplished, even though I know I'll need to do some serious rewriting. How did you do? Did you get something accomplished in November? In the not-too-distant future, huge tornadoes and monster storms are a part of everyday life. No one is safe…except the people who live in Placid Meadows, a one-of-a-kind community that even the worst tornadoes always seem to pass by. Luckily, it’s where Jaden Meggs is about to spend her summer while she attends Eye On Tomorrow, the exclusive science camp that her father’s company created. At camp, Jaden meets Risha, a new friend with a head for numbers and patterns, and Alex, a boy from a storm-ravaged farm outside Placid Meadows. Together they try to find a way to stop the storms that cause so much fear, but instead they discover a dark secret about Jaden’s father. Soon, a summer of cool science turns into a heart-pounding race to expose the truth and save countless lives when Jaden, Risha, and Alex face down the biggest storm of all. If you’re interested in tornadoes, you’ll definitely enjoy this story! It builds into a fast-paced adventure and mystery that kept me hooked right to the end. This is a sci-fi novel, so there are lots of high-tech gadgets (like the storm simulation devices) but main emphasis in the story is on solving a problem that gets more complicated as the story moves along. The relationships between the characters are realistic and I enjoyed Jaden’s struggle to feel comfortable with her family members and her father. A great story for both boys and girls! From a writing perspective, it was interesting to see how the author constructed a story where someone important to the main character was acting suspicious. This was a good way to create a lot of tension, but I can imagine it was tricky to balance the main character’s emotions and not let her father become too much of a “bad guy” since, after all, he was her father. I'd read this story again and again, though, just for the writing. There are lovely phrases here which I didn't always catch the first time through because I wanted to see what happened in the story. "Above the humming of the computer and the beating of my heart and the rain pounding on the window, I hear another sound that makes my heart freeze in my chest." "It feels like time should have stopped when the storm rose back into the sky, like this problem should be solved forever now that it's gone." "Because hope has to start somewhere. And a glimmer is better than nothing at all." Kate Messner lives near Lake Champlain. On her website Q and A, Kate Messner writes about how she records ideas: "I carry a notebook with me, so when I have an idea, I can scribble it down right away before I forget." She also explains why she writes for kids: "I believe the books we read as kids are books that help shape us, in a way that adult books can't quite do, no matter how beautifully they are written." 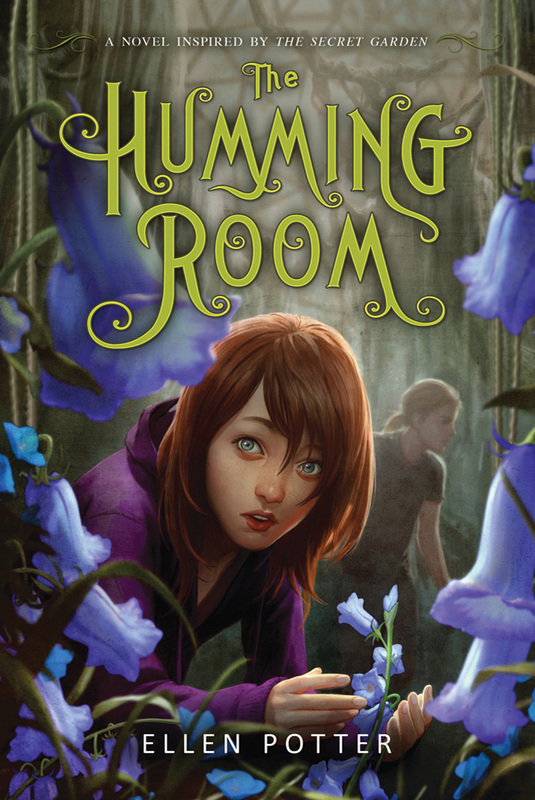 Kate Messner's other books are also great reads! To see my thoughts on another one of her books check out: Marvelous Middle Grade Monday: The Brilliant Fall of Gianna Z. For more, visit Kate Messner’s website. Over at Nerdy Book Club, there's a wonderful post this week by the author of the middle grade novel, Malcolm at Midnight: Why Talking Rats Matter by W. H. Beck. She wrote about why it's important to her to write stories that encourage kids to wonder, to get them dreaming, or to find a friend. And to write stories that kids want to read so they'll become bettter readers. "Because the more kids read, the better readers they become. And the better readers they become, the more choices they have in their futures." Beck's post reminded me that it isn't enough to think about how to create unique characters and plots. Or how to use realistic dialogue to keep the story moving. Or even how to raise the stakes to build tension. Of course, these things are part of writing a novel and they are skills to learn and develop. But besides all of that, there are the deep-in-my-heart reasons why I'm writing and my hopes for my stories. It's these reasons and hopes that tell me what kinds of stories I really want to write and what kids will want to read. Why do I read? What do I get from a story -- is it just entertainment or something deeper? Why did I read as a child? What kinds of stories did I like and why? What do my children read? What kinds of stories do they like and why? Am I writing what I really want to write? What do I really want my story to be about? Is that what it's about? Why or why not? The next time I'm struggling over how to put together a scene or what direction to take my story, I'm going to remind myself of the real reasons why I'm sitting in my chair for hours every day, typing on the keyboard. 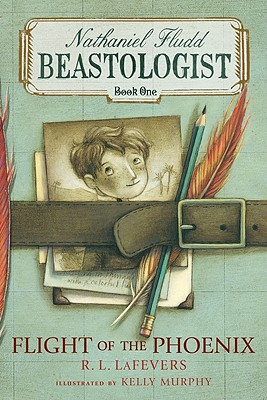 Ten-year-old Nathaniel Fludd is the reluctant hero of Flight of the Phoenix (2009), the madcap debut of the American author R. L. LaFevers’s Nathaniel Fludd, Beastologist series and a Junior Library Guild selection. The year is 1928, the setting England, and Nate’s wayward parents have just been reported lost at sea. Nate is sent that very day to his Aunt Phil’s house in Batting-at-the-Flies, but not for long . . . The morning after he arrives at the renowned beastologist’s doorstep, she whisks him away to the Arabian desert to witness a phoenix lay an egg! Kelly Murphy’s cartoonish black-and-white pen-and-ink illustrations add charm and humor to an already delightful adventure sure to please fans of mythology, maps, camels, and gremlins. Includes a glossary of terms from “cartographer” to “Tidy Sum". Such a fun adventure! I loved Nathaniel’s character right from the beginning, with his awkwardness and poor sense of direction. And I especially liked the way he carried his sketchbook everywhere. The idea of a Beastologist really captured my attention and is a good premise for a series. I’m curious about the mysterious Book of Beasts and would read on to the next book to find out more about it. This is a quick, fast-paced story that will appeal to readers ages 7 to 11. As a writer, this book reminded me that it’s okay to follow your imagination and see where it takes you when you’re writing a story. R.L. LaFevers traveled on many adventures of her own when she was a child, and now writes from her ranch in Southern California. For more, visit R.L. LaFevers’ website. Tips for Picture Book Writers: Stuck for Ideas? I'm doing pretty well in collecting picture book ideas for PiBoIdMo, but now that it's geting closer to the end of the month, there's a little pressure to get that notebook filled. In case you're struggling too, I have a great resource to help you out. "The farther you go, the deeper you dig, the more creative the ideas get." For the full list, check out Step 7: Find More Ideas for Stories. What resources do you turn to when you're stuck for ideas? 1. Darcy Pattison has some great advice this week about thinking about the context when trying to see the world through a young character's eyes, in I Wasn't Alive When...Consider Your Audience. Such a great reminder! 2. Laura Carlson's guest post over at The Bookshelf Muse on Increasing Your Book's Momentum gave me lots to think about. Her point about how readers have become impatient in our world of instant updates makes a lot of sense. She highlights the most important places to build momentum in the story and offers some great tips for finding and fixing places where momentum is slow. Definitely worth checking out! Do you read about writing strategies and techniques while you're drafting a novel or do you find it distracting? Erik never wanted to leave his grandfather's farm, and the memory of his dead father, in Norway. But in Canada his family can have their own farm, so Erik, his mother, and his older sister Elsa journey to the Canadian west with Rolf, their mother's new husband, Rolf. Rolf is a hard man to talk to and even harder to get to know. And he's keeping a secret from his new family. Erik does a man's work, helping Rolf break land and build a sod house. Rolf's brother and his son Olaf live in the nearby town. Olaf looks a lot like Rolf, but for some reason won't talk to him, and seems to resent Erik as well. The boys start to get along through their shared efforts to save Tapper, an injured horse. Tapper gets well enough to be entered in a local horserace and turns out to be a real winner. "Tapper" is the Norwegian word for "brave," and Erik really must be "tapper" to face all the challenges of his new life and be a winner himself. I was attracted to this book because I enjoy reading pioneer stories. 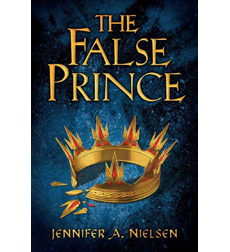 Most of the stories I’ve read are from the perspective of a girl main character, so it was interesting to read this one from the point of view of a boy. The story contained lots of details about how early settlers lived on the prairie, including living in a sod house, snaring game and looking after a farm. The characters in this novel were realistic, with family issues that kept my attention through the story (as well as some shady criminal activity). I found this book when browsing in the library. 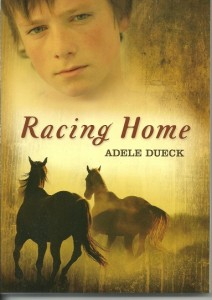 Adele Dueck is a Canadian author. She has spent many years working on her farm in the province of Saskatchewan. She began writing children’s books when she saw how few books there were set on farms, especially in the Canadian prairies. This book has been nominated for the British Columbia Red Cedar Award for 2012/2013, won the Saskatchewan Book Award for Children's Literature and was a finalist in the 2012 High Plains Book Awards. For more, visit Adele Dueck’s website. Since I'm participating in PiBoIdMo (30 picture book ideas in 30 days, started by Tara Lazar), I thought I'd pass along this tip. When I want to find out what other books have been published that relate to one of my ideas, I check out the Children's Picture Book Database at Miami University. This free resource allows you to search by keyword to find books written on your topic. It's also a great resource for teachers looking for picture books to address a particular lesson topic. Do you know of any good resources for finding out about picture books? "Words of wisdom? Write. As simple as that. The moment you stop writing, you've given up, admitted defeat. Just keep writing." Peter Salomon, in Interview: Peter Salomon, MSFV Success Star AND Super Guy at Miss Snark's First Victim, August 30, 2012. I didn’t remember that this novel was inspired by The Secret Garden by Frances Hodgson Burnett when I first began reading it, but I soon saw the similarities as the story got underway. I loved the character of Roo, who seemed determined and spirited, despite the hard circumstances of her own life. The detail about her listening to the earth and the creatures moving within it was fascinating to me and added an interesting element to her character. I was intrigued by the secret garden, just as I was when reading the original story, although the garden in this one is different and has its own unique story. The island setting was easy to picture and captured my imagination. As a writer, I found it very interesting to see how the author created a unique middle grade story that has a similar plot to a classic novel. Reading this book inspired me to think about interesting elements that I want to include in one of my own novels. 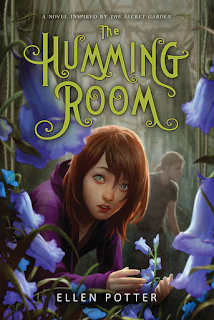 I read about The Humming Room in a Marvelous Middle Grade Monday post over at Shannon Messenger’s blog and in a book pick post on Marcia Hoehne’s blog (both great blogs to check out if you haven’t already). Ellen Potter lives in Maryland, with her husband and an assortment of pets, but she grew up in New York City. She decided to become a writer when she was 11 and realized that all the best books were written for 11-year-olds. This book has been named a Junior Library Guild Selection. For more, visit Ellen Potter’s website. I've been enjoying PiBoIdMo (Picture Book Idea Month) and getting a good start on filling my notebook with ideas. But I know some of the ideas I've jotted down aren't strong enough to carry an entire story. I usually write them down anyway. I often find that some of my stories result from ideas that connect or resurface again later, maybe in a different, more interesting way. Often, ideas that come back again and again in my notebook are the ones that I end up developing into a story. In fact, taking two apparently unrelated ideas (neither of which is strong enough to be a story on its own) and trying to see how to bring them together is a fun, creativity boosting idea that might result in something interesting. So, my writing tip for today is to write down all your ideas, no matter how lame they seem at the time. You never know when they'll be useful. What do you do with ideas that are just not strong enough to stand alone as a story? PiBoIdMo: Although I try to come up with a new idea every day, some days I'm on a roll and get several, while other days I end up with nothing. I figure it will all average out in the end. Mini-NaNoWriMo: I haven't made much progress with my Mini-NaNoWriMo this week and I'm trying not to let that get me down. I've been doing many other (non-writing) important things. But I'm still enthusiastic and planning to continue to try to keep my focus on writing. Author Kekla Magoon deftly navigates the muddy waters of racial and cultural identities in this contemporary exploration of one girl's attempt to find herself. I got absorbed by the characters in this novel about a girl trying to fit in when she feels like an outsider. I could feel Ella’s isolation and her inner conflicts as she struggled to make sense of her friendships with Z, Millie and Bailey. The characters in the story are all believable, and so are the situations they find themselves in. I loved Ella’s loyalty to her friends, and the lengths she will go to in protecting them and herself. This is a story that really tugs at your emotions. I’d read this again to study how the author wove the realism of the school setting into the story. I don’t often read novels where the setting and situation feels so real. There is a strong voice that comes through right from the beginning of the story, which brings Ella to life and helps me feel a connection to her. It’s beautifully written. I first heard about Camo Girl in a Marvelous Middle Grade Monday post over at Readatouille, a blog by middle grade author Ruth Donnelly. It's a great place to visit to find new books to read! Kekla Magoon lives in New York City. She wrote her first novel when she was in high school, but she didn’t realize that she wanted to be professional writer until later in her life. 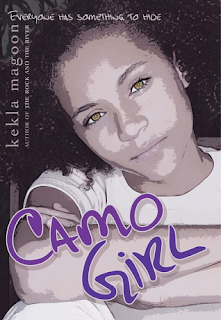 For more, visit Kekla Magoon’s website. 1) I'm doing a mini NaNoWriMo, where I focus on writing a new story and try to get as much writing as I can done each day, with no pressure to complete a novel. I'm not going to sign up for anything but I will keep track of my progress so I can see how much I'm getting done. 2) Since I get lots of story ideas while I'm teaching, I'm going to also try PiBoIdMo (Picture Book Idea Month). The goal is to think up a new picture book idea every day. For me, that mostly means being more vigilant about writing down the ideas I already get, so I decided to sign up for it. I love the idea of having a notebook that contains nothing but ideas. My usual writing notebook is filled with so much more, sometimes ideas for new projects get lost in there. How am I doing? So far, so good. I've started writing my novel, even though there's something important I haven't worked out yet, and it scares me a little that I don't know where it's going. And I already have 2 picture book ideas in my notebook. What are your writing goals for November? Have you made a start on them? When I think back to some of the things that frightened me as a child, I can see that some of my fears are similar, while others have completely changed. Some of them, like my childhood fear of talking to adults who were not part of my family, I've grown out of because of my life experiences. Some of them are still with me, like getting spooked by unfamiliar noises when I'm home alone at night. Or my panic at the thought of taking up downhill skiing. 1) The backstory is important. If a character is fearful, then there are memories and experiences related to the fear that can provide more depth for the story. It doesn't have to mentioned in the story, but it gives more insights into the character. 2) Think like the reader. Since I write for children, to really get into my character’s mind, it’s helpful to list some of my own childhood fears (and other emotional experiences) as a reference for the kinds of fears kids might have. My adult fears can be different -- maybe not even something I was aware of or thought much about as a child. It's all about perspective. Are you still afraid of anything you were afraid of as a child?